Everything travellers will need to fully enjoy a week in Colorado: a carefully-crafted itinerary, maps to show the way, a variety of activities which sample the best of Colorado, as well as recommended accommodations and restaurants. If you've always wanted to visit Colorado, but don't know where to go, what to do, or where to eat and sleep, here’s a suggestion: a week-long driving tour that begins in Denver, makes a circle through the mountains and ends in Colorado Springs. Along the way, you'll enjoy scenic drives and interesting museums. You'll stand on top of a mountain, go deep into a gold mine, ride a narrow-gauge railroad, hike part of the Colorado Trail, explore a ghost town, cross the Royal Gorge Bridge, enjoy a chuck wagon dinner and Western show, walk around an alpine lake, stroll through the Garden of the Gods, and watch a Victorian melodrama. Since you should acclimatize your body before going to the higher elevations, I recommend that you begin your tour with a day and night in mile-high Denver. Start at the Denver Museum of Nature & Science, one of the best natural history museums in the United States. There, you can prepare yourself for the coming days by viewing the Prehistoric Journey, Explore Colorado, Edge of the Wild, and Gems and Minerals exhibits, where you'll be introduced to the mountain scenery, plant life, wildlife and minerals that are indigenous to Colorado. Then head toward historic Larimer Square for lunch, followed by window-shopping down the 16th Street Mall and a climb to the dome of the State Capitol building for a stunning view of the Rocky Mountains. Next, visit the Colorado History Museum to view interesting exhibits of Colorado’s past, as well as mining tools and equipment, a gold-rush era log cabin, an Anasazi cliff dwelling, realistic Indian dioramas, and other historic memorabilia. The last stop of the day is the Denver Art Museum to enjoy its beautifully-displayed Indian artifacts. Enter the Rockies via the town of Loveland and dramatic Big Thompson Canyon, which opens onto the even more dramatic Estes Park valley with the snow-capped Continental Divide as its backdrop. After browsing in some of Estes Park’s shops, enter Rocky Mountain National Park. Drive up Fall River Road through three ecosystems that are stacked one upon the other, much like a layer cake. Your climb from 7,522 feet to 11,976 feet in elevation will bring you to a tundra environment that’s similar to what you'd find 2,100 miles north at the Arctic Circle. When you arrive at the Alpine Visitor Center, check out the displays and, if you're in good health, take a brief hike up Huffer’s Hill to have a mountaintop experience. Then, take Trail Ridge Road to the glacier-carved Forest Canyon Overlook where you'll view a 20-mile-long panorama of the Continental Divide that will take your breath away. End your day with a short hike around picturesque Bear Lake, enjoying a self-guided tour of Rocky Mountain National Park’s plant and animal life. Start out on the Peak to Peak Highway, which has been designated as one of Colorado’s 21 Scenic and Historic Byways. Then, take a walk around Central City, site of Colorado’s first major gold strike and holder of the title, “Richest Square Mile on Earth.” Central City’s stone and brick buildings date from 1873 when most of the town was destroyed by raging fires. Next, continue to silver-rich Georgetown, where you'll take a narrow-gauge train ride and stroll past some of the town's 200 well-preserved Victorian homes and buildings. The Hotel de Paris and Hammill House are well worth touring. Then, it's through the Continental Divide's Eisenhower Tunnel to Breckenridge. There, you can choose to immerse yourself in either the town's historic mining atmosphere or its more modern skiing ambiance, for which Breckenridge is best known. This day begins with a drive over the Continental Divide at 11,542-foot Hoosier Pass, where you’ll want to have your photograph taken in front of the sign which tells how moisture runs from there to both the Pacific and Atlantic Oceans. Then on to Fairplay and South Park City. This attraction is a bit out of the way but, to me, it’s worth the trip to Colorado all by itself. Here, you'll see more than 40 authentic, weathered, mostly one-story buildings from the late 1800's that were brought here from area mining camps and arranged on two sides of a dirt street to resemble an Old West town. The ambiance is so palpable that I actually felt transported back 120 years when I climbed the creaking stairs of the Stagecoach Inn. You’ll be able to poke around inside the buildings and see more than 40,000 original items that were collected and donated by area residents. You’ll also see mining equipment, a Conestoga wagon, a cattle-drive cook’s wagon, a railroad caboose, a trapper's cabin, a train depot, an 1880's school house, a general store loaded with 100-year-old canned goods, and many other interesting sights. 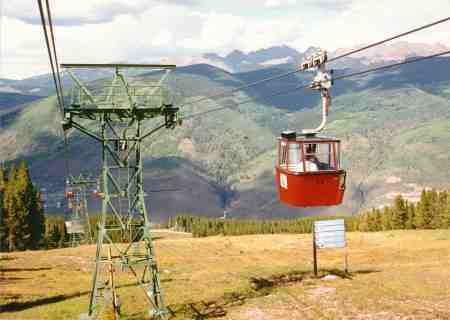 From there, it's on to Vail for a gondola ride and some window shopping. Then, over the Continental Divide again on another of Colorado’s Scenic and Historic Byways. 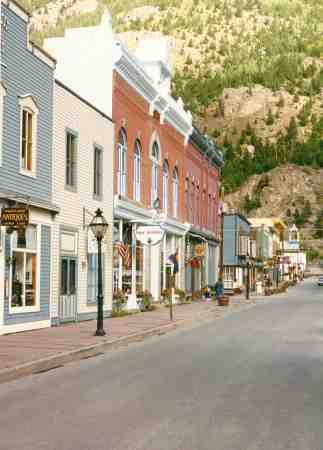 In Leadville, visit the National Mining Museum and Tabor Opera House. Your travel day will end by descending to and driving through the Upper Arkansas River Valley to Buena Vista. You’ll have a spectacular view of the Sawatch Mountain Range all along the way. 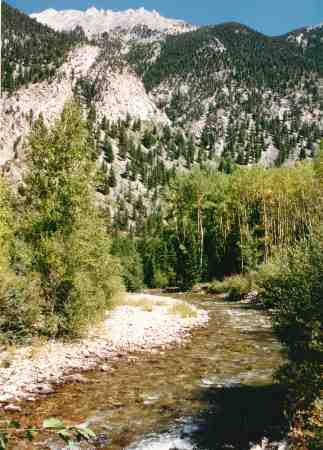 The Buena Vista area is well known for its whitewater rafting. My wife and I enjoyed the half-day Brown’s Canyon trip run by Wilderness Aware the last time we were there. But if this is your first time in the area I recommend, instead, that you explore gorgeous Chalk Creek Canyon, take a hike on the Colorado Trail and visit St. Elmo. 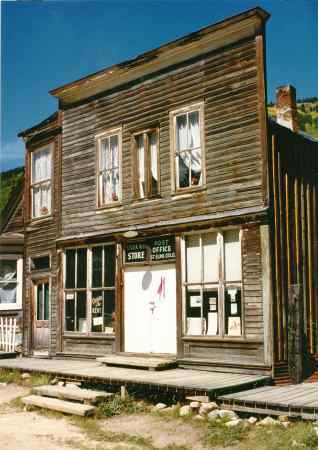 St. Elmo is Colorado's best-preserved ghost town. People live in those old buildings, so it's not truly a “ghost” town but is a real trip back in time. From there, drive through Salida and the beautiful Arkansas River Canyon to Canyon City where you’ll cross the 1,053-foot-high Royal Gorge Bridge. Be sure to take the incline railway down to the river level where you might see whitewater rafters skimming by, and where you can look up to the suspension bridge and see just a ribbon in the sky. Then it's back into the high country via Phantom Canyon, another Colorado Scenic and Historic Byway, which was once the path of a narrow gauge railroad connecting the mines in Victor and Cripple Creek with an ore processing facility near Canyon City. You’ll again see the changing ecosystems as you climb to near 10,000 feet in elevation. That evening, you can enjoy a rarity in our country: a Victorian melodrama, in a Victorian setting, put on by the Cripple Creek Players. Start your day by descending 1,000 feet into the Mollie Kathleen Mine to see a genuine vein of gold and learn how hard rock miners made their living. Follow that with a circular drive through the goldfields, where you'll see mining buildings and equipment above ground as they were abandoned more than 100 years ago. 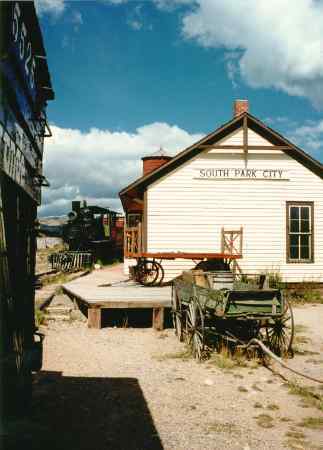 Then, visit the Cripple Creek District Museum where the area's history will come alive. After lunch, you can gamble some if you're so inclined. (Central Cit, Blackhawk and Cripple Creek are the only legal gambling sites in Colorado.) Next, visit the Florissant Fossil Beds and the adjoining circa-1878 Hornbeck Homestead, which was settled by a 44-year-old widow and her four children. 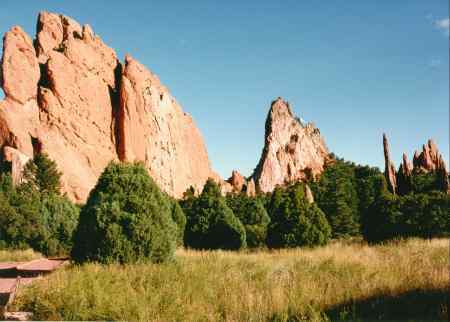 Then, drive to Colorado Springs, enjoying a stirring view of America’s most famous mountain, Pikes Peak, along the way. As with Denver, there are a lot of things to do in and around Colorado Springs. My suggestions are that you start at Seven Falls, visit the Manitou Cliff Dwellings, tour the Chapel and Visitor Center at the US Air Force Academy and take a late afternoon stroll through the stunning Garden of the Gods, a fairyland of uplifted red sandstone slabs. I don’t often use the word “must,” but you must finish your tour with the delicious chuck wagon supper and Western stage show put on by the Flying W Ranch. This is just plain fun and good eating. Be sure to poke your nose into some of the 14 restored buildings; most are shops that carry quality items. And don’t miss the horse shoeing demonstration at the blacksmith shop. What a great way to end seven wonderful days in Colorado! 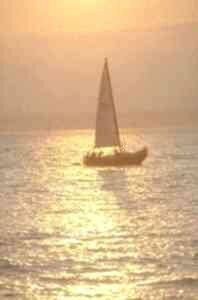 Bill Ginnodo is a resident of Arlington Heights, Illinois. He and his wife, Celia, have traveled frequently and extensively in the area of Colorado covered by this article. They are the authors of Seven Perfect Days in Colorado: A Guided Driving Tour, which provides full details of this tour (see panel above). If you enjoyed reading the above article then you will probably also enjoy Downeast in Maine, also in North America, and our latest articles covering the Orinoco Delta, La Mata, Marbella and Beijing.